Planned renovations began on November 12th on the grounds of the William S. Hart Park in Newhall as construction began that will include brand new pavement in the parking lot, security lighting, and an automated irrigation system. While parking will be limited to the main lot during these renovations, improvements will make this historic Santa Clarita landmark even more enjoyable for those wishing for a day outdoors. William S. Hart Park: Hiking, Picnicking, Mansion Tours…BUFFALO? The William S. Hart park is named after the silent film star who made over 65 movies in 11 years, most notably in western and adventure dramas. He had begun his acting career in his 20’s and was a successful Shakespearean actor before making his transition to motion pictures at what would now be considered an unseemingly age of 49. 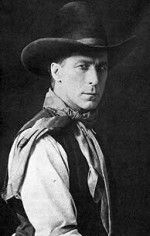 Hart retired after filming his last motion picture, Tumbleweeds, in 1925. 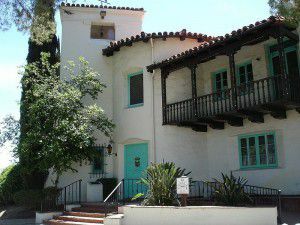 He moved to the Santa Clarita Valley and built his home which he named La Loma de los Vientos (The Hill of the Winds), a 10,000 square foot mansion built in the Spanish colonial revival style. The grounds also include an historic 1910 ranch house that now exhibits much of Hart’s tack and saddle collection. The entire park encompasses approximately 260 acres. The mansion is open for guided tours, and aside from picnicking and enjoying the great outdoors, William S. Hart park also contains a few short hiking trails, and if you decide to take the trail and road up to the mansion, you can see the buffalo residing in their own field as you approach the top of the hill. Kids will love the recently refurbished animal area near the ranch house (and entrance) that contains a cow, horses, deer, and several ducks and chickens. The park and museum is located at 24151 Newhall Avenue in Newhall. Residents can take Newhall Avenue north (From Sierra Highway), or if you’re visiting from the Los Angeles area, take Highway 14 north and exit Newhall Avenue. Continue north and the park will be on your left hand side. Residents living north of Newhall can take Railroad Avenue south until it converges with Newhall Avenue (near the railroad tracks). The park is on the west side of the street. Hours of operation are 7AM-5PM during the Fall, Winter and Spring months, remaining open until 7PM during the summer.